Last week we had the honor of sharing the work of Kevin Brackley who is part of the Four Corners Art Collective. 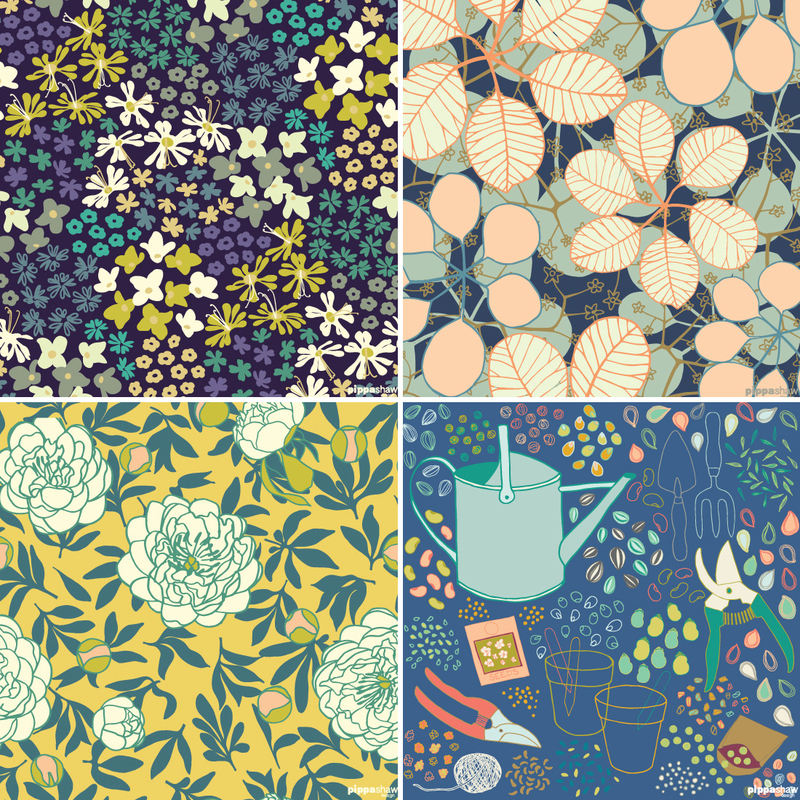 This week we are excited to take a deeper look at this collective of surface pattern designers creating fresh, modern patterns available to license and buy. The seven founding members (Beth Schneider, Emma McGowan, Jane Kirkpatrick, Jocelyn Proust, Julie Anson, Kevin Brackley and Pippa Shaw), who are based in the US, UK, Australia and France, have been enjoying some fantastic successes since launching in November last year, including attracting nearly 1,000 followers on Instagram and securing licenses with Guildery, Minted, Aladdin, and Padlocks. Each member of the collective has worked in different parts of the creative industries, in graphic design, advertising, illustration, book and stationery design, and ceramics, amongst other things. 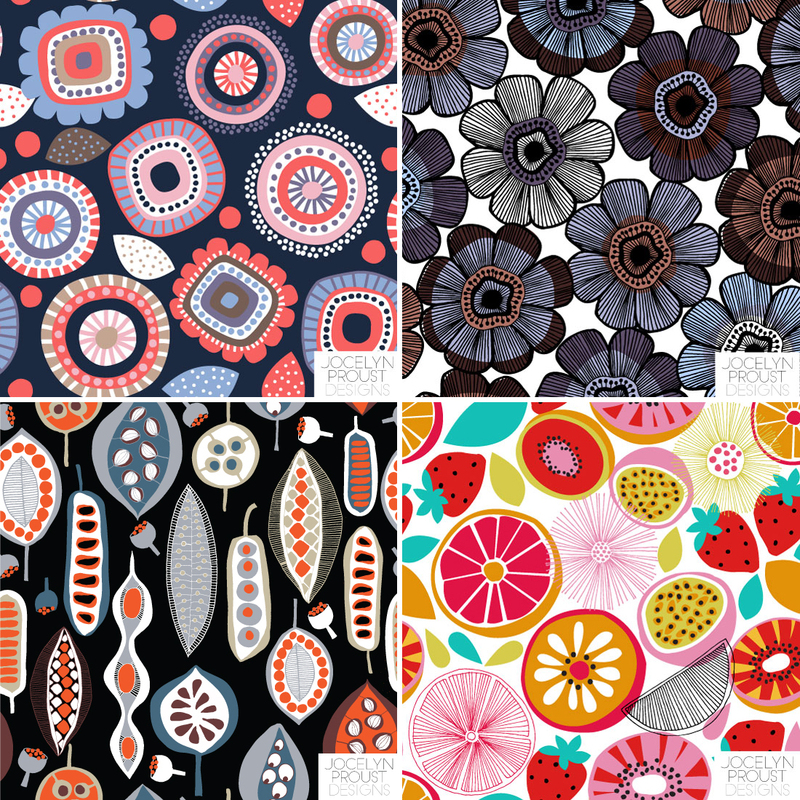 Over the past few years, they each independently began exploring the possibilities of surface pattern. The group critiques each other’s work, shares trend research and discusses opportunities for getting their work in front of more buyers and art directors. And despite being located in all four corners of the globe, they’ve managed to meet in person in Glasgow and Bath so far. The next get-together will be at Premiere Vision in Paris in February and then it’s Surtex and Blue Print in New York in May. In May, Kevin and three other members of the group, Beth Schneider, Emma McGowan, and Jocelyn Proust, will be exhibiting at Surtex in New York. 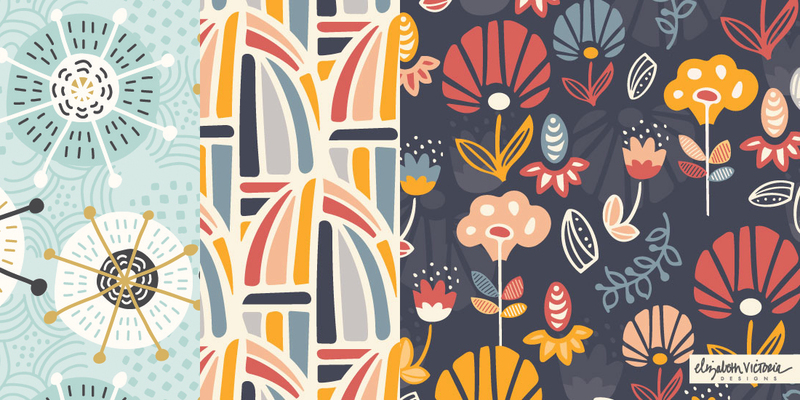 “We’re keen to get our work in front of more buyers and Surtex is the perfect platform,” says Kevin, who lives and works in Sydney, Australia, “but it can be nerve wracking to take such a big step by yourself. “Being part of a collective means we can share the cost of the booth and marketing materials, which makes the whole thing much less risky, plus we give each other the emotional support you need when you’re preparing for a big show like Surtex.” Kevin is in daily contact with Emma in the UK, Beth in the US, and fellow Australian, Jocelyn, to finalise the details of their booth design and marketing material, and to inspire each other to create lots of new work. Very fresh designs. Wishing you great success at Surtex.